Sony at the ISC West show at Las Vegas this week is showing the SNC-WL862. It’s a multi-sensor adjustable dome network camera, pictured, for ‘all round’ video monitoring in corporate and public spaces. It captures images with a total resolution of 20 megapixels via four independent five megapixels CMOS image sensors and varifocal lenses. This allows to view four regions of interest at once, simplifying installation and lowering costs by reducing the total number of cameras needed, the product developers say. 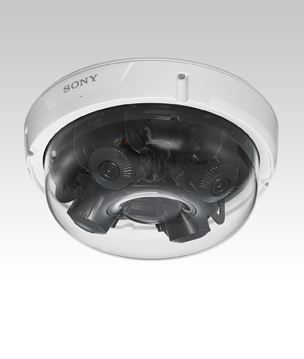 Offering 360 degree video coverage from one camera with a single IP address, the rugged SNC-WL862 comes with a robust IP66 and IK10-rated housing to withstand rain, dust and vandalism. 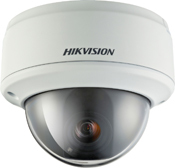 Six new EMX-series mini-dome cameras offer intelligent analytics. Inside SNC-EMX30 models, Sony’s Exmor CMOS sensor captures Full HD video at 30 frames per second (fps). SNC-EMX50 models upgrade quality and sensitivity further with a five megapixel Exmor R CMOS sensor. Cameras with an ‘R’ suffix in the model name include an integral infra-red (IR) illuminator, delivering black and white images in complete darkness, the product firm says. 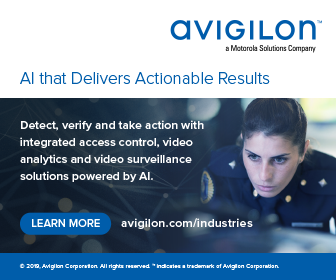 On-board Essential Video Analytics can combine high-resolution images with associated metadata. As for network security, the cameras come with Trusted Platform Module and encryption and authentication measures against malicious attacks. In common with the multi-sensor camera, all EMX-series models feature wide dynamic range to ensure evenly exposed footage, even in high contrast scenes with bright highlights and dark shadow detail. 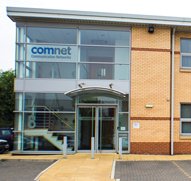 Intelligent streaming and Intelligent Dynamic Noise Reduction techniques with the H.265 codec reduce bandwidth requirements by up to 80 per cent, it is claimed, and save storage while maintaining video performance. Edge recording onto removable microSD card is for reliability in case of network interruptions, while compliance with ONVIF Profiles S, G and T facilitates inter-operability with other network video systems. And the new SNC‑HMX72 is a ruggedised 360-degree hemispheric-view camera, for outdoor use as at railway stations, campuses and pedestrian areas. Visit www.boschsecurity.com/sonyvideosecurity.